Now you can have personalized wallpaper for free with Monogram It! Custom Wallpapers for Android. 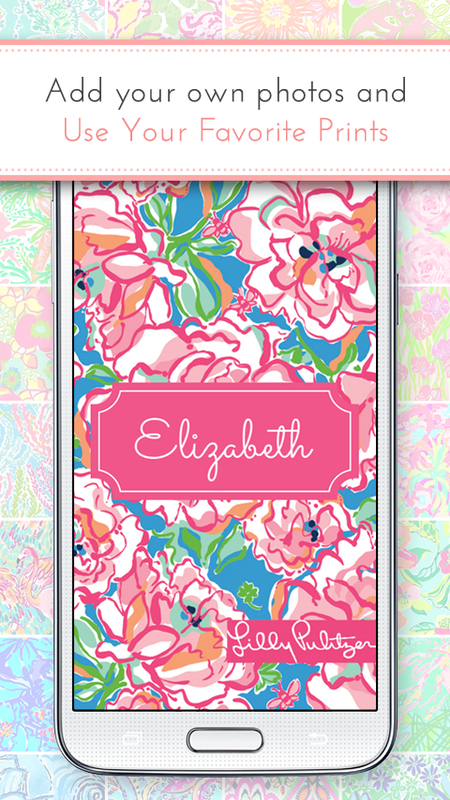 Choose from gorgeous monogram fonts and background patterns to personalize your Android phone. Monogram It! Custom Wallpapers for Android is available for download at Google Play for $0.99. There is not anything more “custom” or “personalized” than having your forename or initials monogrammed on the possessions you love. And with the aid of one of the top monogram wallpaper apps, Monogram It! Custom Wallpapers and Backgrounds, you get to display your personal unique stamp on excellent wallpaper backgrounds that you craft for your Android. Once you tap on that pattern icon, you can either put in your own picture to create a real custom wallpaper feel or choose from the numerous backgrounds offered. These colorful and interesting wallpaper designs are sure to jumpstart your creative juices. Wallpaper background patterns range in color, and design options offer simple to complicated geometric patterns to stylish damasks and floral, down to tribal and animal prints. But it’s not until you swipe through the color scheme slider to change pattern colors that you’ll really start to be thankful for the background designs that are included in this monogram application. Swiping through the color choice slider, you can pick from a variety of color scheme options to change either the color of the design pattern or the background color. And depending upon the wallpaper design pattern you chose, there may be more or less color scheme options to choose from. It’s amazing to see how a color change to the pattern or background shifts the overall mood and look of wallpaper. Pattern and color choices are a great way to customize the look of your Android screen, and really reflect your own individual personality. Another great feature is the effortlessness of editing your previously created backgrounds. On the other hand, this personalization app has plenty of simple, classic, and bold patterns, as well as stronger color options to please. Monogram It! Custom Wallpapers is an Android application which was launched to personalize your Smartphone. You can think outside the box and take these personal creations beyond your mobile device. The app requires Android 4.0 and up.